See below for full-time and intern opportunities. First Choice Tree Care Inc. is accepting applications for the positions of full-time Arborist and part-time Arborist, as well as summer/seasonal Arborist. First Choice Tree Care Inc. is accepting applications for the positions of full-time Arborist and part-time Arborist, as well as summer/seasonal Arborist. First Choice Tree Care is a full-service plant health care and tree service company with locations in Knowlton and Mequon. We provide a wide range of year-round tree care services throughout Central and Southeast Wisconsin. We do not engage in snow removal, lawn services, or landscaping. Full-time compensation package includes health insurance, life insurance, short-term disability insurance, matching retirement contribution (SIMPLE plan), 6 paid holidays, 2 weeks paid vacation, 4 sick days per year, and annual gear & clothing allowance. Part-time employees are offered competitive wages, flexible scheduling to accommodate class schedule, and an opportunity to receive valuable experience while still in school. 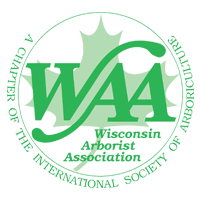 Work time is applicable toward eligibility to take the ISA Certified Arborist exam.